Daily Jewelry Deal: 18k Gold-Plated "Love You" Heart Ring - $9.98 Shipped! This Fashion Plaza 18k Yellow Gold Plated Swarovski Crystal Love You Heart Ring is currently selling for just $5.99 on Amazon.com! You will be saving 70% off the listed price of $19.99 with this jewelry deal. 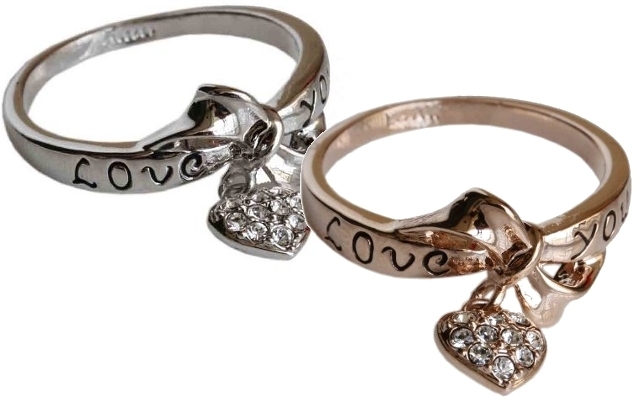 Also available is the 18k White Gold Plated Swarovski Crystal Love You Heart Ring for $6.99, which is 65% off the listed price of $19.99! The shipping charge for each item is $3.99.